Ultra-microfiltered Milk Whey Protein with 0 sugar, 0 fats. High quality protein focused on maximum muscle gain with minimum fat. Quick and easy dissolution. Excellent flavour. Construction of lean mass and increased strength: each dispenser contributes to this objective with 25g of high quality proteins, being indispensable for any programmes that seeks to generate new tissue, boosting muscle power and performance in athletes. Great release of amino acids: each dispenser provides branched chain amino acids or BCAAs, which form part of the so-called essential amino acids, and which are a fundamental key to the construction and regeneration of new muscle tissue. 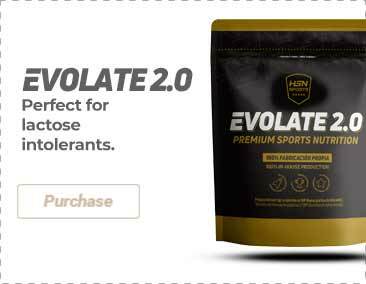 In addition, there is glutamine, an amino acid very much present in the muscle tissue which manifests it properties focused on recovery and establishing a complete anabolic environment. Digestive enzymes: to improve the formula, important digestive enzymes have been added for the purposes of facilitating the passage of macro-nutrients, from their ingestion, digestion and absorption on the part of the body. Iso Zero can become the very best ally for the athlete seeking maximum performance from a protein. Mixture Premium protein and amino acid (isolated ultrafiltrate Whey protein, L-glutamine, L-leucine, L-isoleucine, L-valine), glycine, L-alanine, alkalized cocoa powder, soy lecithin, cream sunflower (sunflower oil, corn syrup solids, sodium caseinate, mono and diglycerides, dipotassium phosphate, tricalcium phosphate, soy lecithin, tocopherols (preservative)), flavors, taurine salt, gum mixture (cellulose gum , xanthan gum, carrageenan), acesulfame potassium, sucralose. As a dietary supplement, mix 1-2 dispensers with 180-360ml of cold water or skimmed milk in a glass or mixer. Take between meals and before and after exercise.